Dog training, from start to finish, is all about finding the right balance; the balance between giving the dog enough to learn and progress without overloading or causing confusion. Some dogs can take more pressure than others and advance quickly. Some are softer and may shut down using the same regimen that worked for the last dog. This softer student may require a completely different technique to get the same end result. As a trainer you need to be able to read the dog, understand his body language and find that balance. It can be different with each dog and it can be different with each phase of that dog’s training. If at the end of every session your dog is happy and looks forward to the next session then you have found that balance. Dogs have an amazing ability to read or pick up on the energy we convey. If we are frustrated, angry or unsure we are conveying negative energy. Your dog will sense this and you won’t have his trust; you are fighting an uphill battle. On the other hand if we are calm and confident and convey a positive energy, man’s best friend is capable of learning and advancing at a surprising and almost unbelievable rate. In the world of professional trainers there is an endless variety of techniques used to train a dog. What separates the average trainer from the true professional is knowing how to read dogs, convey positive energy and find the right balance with each student. You can’t learn these things from simply reading a book or watching a training video. You learn them in the dog training school of hard knocks, from years of training numerous dogs, day in and day out. Here at Central Oregon Sporting Dog, our commitment is to make every dog the best they can possibly be. We make it a point to keep the number of dogs we take for training at any one time at a minimum. This allows us to focus on Quality not Quantity and gives each dog the time and attention required to learn and advance quickly. We clearly outline in advance what your dog will learn during its time with us. This means that if you decide to sign your dog up for the Pointing Dog Program, your dog will perform every aspect listed. As a professional dog trainer and guide from Alaska I would highly recommend Tim Curry for dog training, guided hunts and kennel care. Tim is well organized, patient, caring and an efficient and effective trainer of which I would trust any of my dogs to be in his care and training program. I have known Tim for about five years and have had great days in the field shooting over his highly trained pointing and retrieving gun dogs. This is my 2nd dog with Tim my other dog is now 11 years old and without Tim’s help I wouldn’t have enjoyed all those years and hundreds of birds. This last pup is now 1 1/2 years old she is my wife’s dog. I will start another pup next year and have Tim train it as well. Paying for professional training is money well spent for the many years you will have with your dog in the field. I looked into many trainers but felt Tim was very gentle. What makes his program great is he will work with you, along with your dog, during its stay. We’re often booked 6 to 9 months in advance. Please Contact Us to ensure your space in our upcoming Training Programs. We offer a variety of training options and rates in order to fit you and your dog’s individual needs. I have had the extreme pleasure of hunting and training with Tim most of my adult life and had four shorthairs go through Tim and his program. I could not have asked for a better hunting partner, friend or trainer. Tim knows how I feel about my dogs and never once have I had any issues with the treatment or training of my dogs. You will not find a more honest, passionate or reliable trainer than Tim, it is just not possible. Hell, I bank on it and have. There is none better that I have ever known! He could use some help on his shooting for chukars though! I currently have two dogs that we got from Tim and are now in training with Tim. One is a 12-month German Shorthair Pointer (GSP) and the other is a 14-month yellow lab. They have been with Tim for eight weeks and we are very happy with the training they have received from Tim. We have visited two times and can easily see the vast improvement. We will be getting them both and taking them home next week and will be bringing them back for a two-day hunt in August. I have been a bird-hunter for 45 years and have hunted pheasant in South Dakota every year for the past 30 years. I have hunted with many breeds and prefer labs as flushers and GSP as pointers. Tim has the best training program I have seen to date and I highly recommend him due to his love for the dogs and his keen understanding of what each dog needs in a training program. You will not be disappointed! A friend of mine introduced me to Tim after he bought a GSP from Tim and sent him back to Tim for training. I highly recommend Tim as a trainer and, in fact, will be getting another GSP with a friend next week when we bring home our two trained dogs. I have had two dogs that have been in training with Tim. I am an avid bird hunter and trained my first dog myself. Although Lady was a good hunter she would not retrieve a shot bird. I worked diligently with her but could not overcome the communication block between us. After talking with Tim and other trainers I decided to send Lady to Tim for a one month retrieve training. I was concerned as Lady sleeps each night in bed with my daughter. However, I was convinced after visiting the facility and further review of the training techniques that Lady would be in good care. I did visit and observe some training sessions unbeknownst to Lady (I did not want to delay her progress and cause her unnecessary anxiety). She was quite excited to work with Tim and was given good physical care. She progressed well and was excited to see our family when we picked her up. Tim taught me how to reinforce the training and answered all of my questions. I took Lady on five hunting trips after she came home last year. She proudly retrieved every shot bird to my side and sat with it in her mouth till I reached down and took it from her. Lady is a dog who loves to please and I honestly feel she is happy to finally understand her role completely in our partnership. I signed my puppy up with Tim because of the experience I had with Lady. Henry is a goofy pup and Tim was very patient. I have not hunted him yet as he finished his training in July. He will not be polished like Lady because he lacks experience. However, he shows great promise and responds well to all the work Tim did. This option is designed for the dog that has maybe had some training but may need work on specific problem areas. This option works great for the dog that needs a miner brush up. Also a good option for your dog while you are on vacation! For the hunting companion that doesn’t retrieve instinctively or adequately. Your dog will retrieve to hand after this approximate four to six week program. confident outgoing pup that will advance rapidly later when formal training begins. also of course, there’s the results of the training. A: Hello, I would be happy to answer your questions regarding Tim. See my answers below. Would you recommend his program? [Brett] Yes I would and do. Tim’s training program is customized for each dog, where other trainers I know expect certain progress in week 1, week 2, etc. What Tim does is take his program and makes it fit your dog. He looks at your dog’s strengths and weaknesses and adjusts his routine for that dog. 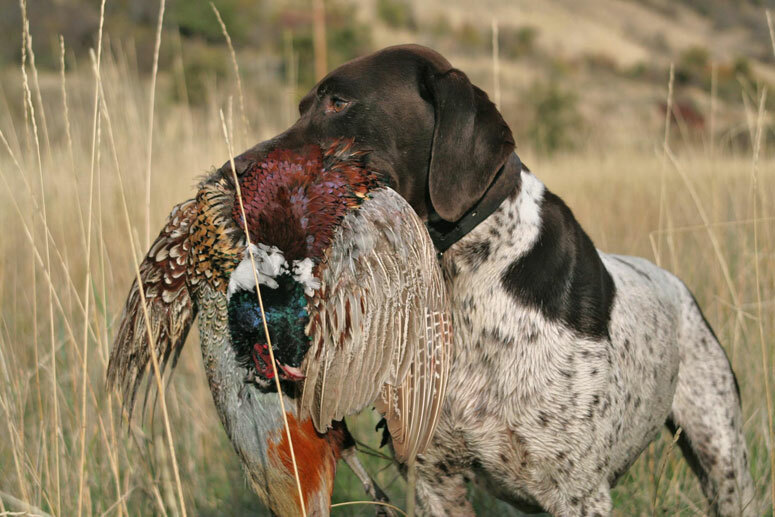 We have three German Shorthairs that Tim has trained that are the envy of my hunting friends. We also have two labs that Tim finished and trained to sit when the pointers go on point. It is a very impressive thing to see. What made you feel comfortable enough to leave your dog with him? [Brett] My first experience with Tim was with my wife bird hunting. Tim was our guide and we were hunting with our dogs. Our dogs were not trained like they should have been and made many mistakes. Tim never lost his temper or patience the entire experience. He paid attention to our dogs all day and was very kind and considerate towards them. He cares about the dogs he trains and that is a special quality that I have frequently encountered. Do you think your dog enjoyed it? [Brett] One thing I can tell you is that dogs are happy; they either know that you are there or not; they cannot tell time or read a calendar; they don’t know what a day is. We will always miss them more than they miss us because we can do all of these other things that relate to time and missing, that they cannot. During visits and to watch the dogs work, you could see they were truly happy with what they were doing. They still go nuts when we pull up into the “bird man’s” driveway – so yes, I would say that they enjoy it! [Brett] Tim has trained 5 of our own dogs for us, as well as another 6 dogs that we have bred and sold. We are thrilled with the results. Is there anything you weren’t happy with? [Brett] At first, 90 days seems like an eternity. Dog training is like watching grass grow -it takes a couple of weeks to see a change. That was tough, but once we saw the improvement (which in one case literally made me cry with what the dog could do under Tim’s care in a month – beyond what we ever dreamed possible) it makes having the dog gone for so long, so much easier. Thanks so much in advance! We really appreciate it. I have 3 Setters. The first 2 were were trained by individuals in other parts of country and like Tim, were well recognized nationally. I only mention this as a point of comparison as my 3rd setter, Roscoe is with Tim now. He started with Tim at 14 months in April. I am very pleased with Tim and here are some reasons why. Tim provides updates on Roscoe’s development as often as I desire – his updates are comprehensive, yet to the point. With each update, I learn something anecdotal about my dogs drive, demeanor and a little more about what makes him tick. Follow-through from Tim has been great. I travel a lot; it can be tough to check in physically – so Tim sends video clips from time to time which allows me to track from afar. Very helpful. Roscoe is a lot of dog. His training has progressed nicely. For his first year, I let him simply be a pup in the field with wild birds in a lot of different settings. At the time I sent him to Tim—let’s just say he was a “wild man”. In videos I can see Roscoe locating birds, pointing, holding, releasing, being responsive to commands, yielding to “whoa” in exciting situations, etc. which tells me Tim has done a great job harnessing his enthusiasm and bringing out his natural talents. He is being trained to steady to wing and shot. He looks good and has pulled it all together and now working on conditioned retrieve. I like Tim’s approach on this specific element of training. Normally with a English Setter I would have waited until he was 2 years of age given the sensitivity and nature of a setter (I recognize others may feel differently, this has just been my personal bias). In this case, given how Roscoe responds to Tim we have started. He is taking it slow and adjusting as needed. Needless to say, and to end where I started…..I have used others and going forward, I will be exclusively using Tim in the future as long as he will take my pups. In terms of the training setting as others have already mentioned, it couldn’t be better!